brandflakesforbreakfast: live product demo . . . in print? live product demo . . . in print? When you're thinking about ideas for live product demos, lots of tactics might come to mind, but none of them are likely to be print. 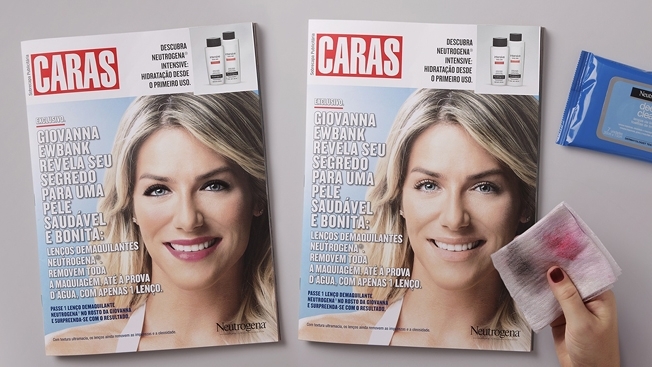 That's what makes this Neutrogena ad in Brazil so innovative and smart. 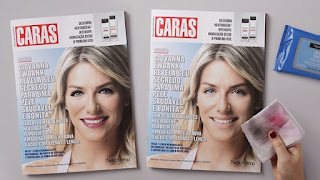 Readers are encouraged to wipe the lipstick off the cover model with a full-sized make-up removing wipe sample attached inside to get a first hand experience with how effective it is . . . which is, in turn, quite effective! Nice!